Although today’s commercial trucks may be safer than the ones that occupied the road decades ago, these accidents can still cause catastrophic injuries such as broken bones, paralysis, and death. There are many types of truck accidents, including jackknifing, rollovers, and collisions. At Shore, McKinley, Conger & Jolley, LLP, our team of attorneys will get to the bottom of your case and determine whether the operator, trucking company, manufacturer, or another party was responsible and how California trucking regulations may affect the case. If you live in or near Stockton, CA, and suffered an injury in an accident with a commercial truck, we are your go-to legal team. Because of their size and weight, trucks can cause catastrophic damage. Jackknifing: This occurs when a towing vehicle and trailer become folded at an angle, often because of faulty breaks or slippery road conditions. Rollover: Rollover accidents are often the result of a truck hauling a top-heavy load. Because the weight is poorly distributed, the truck tips or rolls over. Steep inclines, declines, and speeding can also cause rollover accidents. Collision: Collisions can take place on undivided two-lane highways when a semi-truck drifts out of its lane and collides with an oncoming vehicle. These accidents are often the result of impaired driving or speeding. Lost Cargo: Failing to secure cargo can cause objects to spill out of a moving truck. Runaway Truck: Dangerous multi-vehicle accidents are often caused by brake failure. Rear-End Collision: Because trucks require more time to stop than smaller cars, speeding trucks can rear-end the vehicles in front of them. Blown Tire: When a truck blows a tire, it is virtually impossible to control. Each truck accident case is unique, and we will tailor a strategy to ensure you secure justice and full compensation. Exceeding Weight Capacity: There are strict state and federal guidelines in place regarding weight capacity on trucks. Failure to comply with these guidelines can make it harder to stop and increases the likelihood of a rollover accident. Faulty Equipment: Trucks that are not well-maintained are dangerous to take out on the road. Brakes that are not inspected and replaced on schedule, for example, can cause a runaway accident. Traffic Violations: Speeding or ignoring traffic signals can result in serious accidents. Impaired Driving: Despite strict blood alcohol content (BAC) regulations, drunk driving is a frequent cause of accidents. Lack of Training: When a trucking company neglects to train their truck operators, they can be held liable for damages. Driver Fatigue: When drivers are scheduled for too many hours behind the wheel or neglect to rest in an attempt to shorten their delivery time, the results can be deadly. The driver or their employer can be held responsible in these instances. 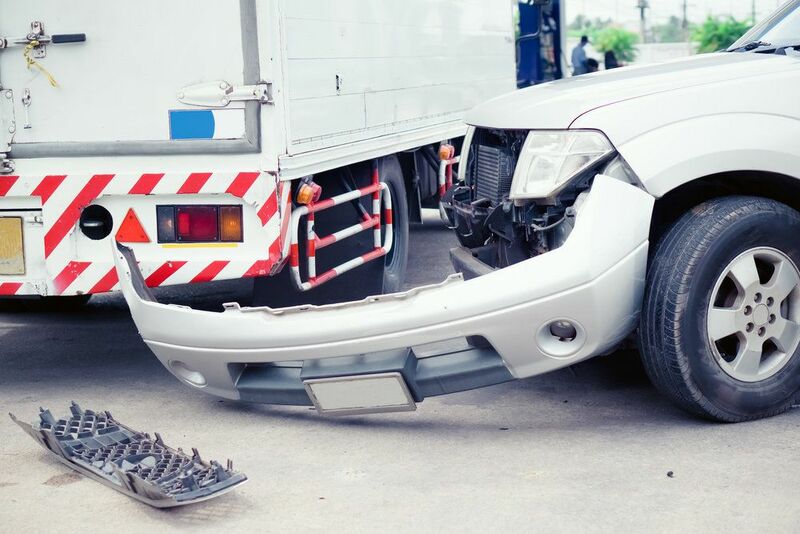 Each truck accident case is unique, and we will tailor a strategy to ensure you secure justice and full compensation. We will comb through the evidence, identify the responsible party, and pursue maximum damages for medical expenses, pain and suffering, and lost wages. If you were injured in an accident with a commercial truck, call on the team at Shore, McKinley, Conger & Jolley, LLP. We will work diligently to identify the responsible party and secure damages on your behalf. Call (209) 447-8171 to schedule a free consultation 500 today.